Horses are sentient, intelligent and wise. Just because they don’t speak English doesn’t mean they aren’t trying to communicate with you all the time. Wahoo! I am honored to be interviewed by actress and horsewoman, Sandra Dee Robinson, the host of Charismatic Cowgirls. She offers leadership training with natural principles using horses as teachers, therapists and guides. 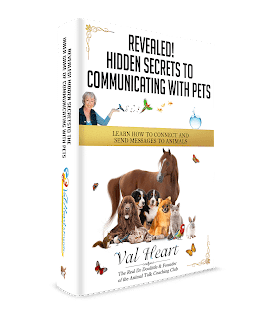 She wanted to discuss natural, profound and positive ways to build relationships with horses. You don’t have to be a horse whisperer to hear your horse’s innermost thoughts. Connect at the heart and mind, and trust. Horses come into your life for a reason. They are master teachers in disguise. And yes, we know, sometimes they can drive you nuts! Do you ever feel like your horse is trying to tell you something? Are they hurting, in pain or just confused? An unhappy horse is truly a heart breaker and can become a bone breaker. Don’t let that happen to you! If they’re trying to tell you something by acting out, they are not just naturally being obstinate. They have something important to say. The truth is, what you don’t know yet is hurting you and your horse. It’s time to build your relationship with your horse so you can dance together, trust each other, and partner up! What is your horse trying to communicate with you? Watch and learn from our examples and stories. Then go out and use the tips with your horse! Let us know what happens! Leave a comment below, we love to hear from you.